The name change and rebranding initiative was announced at September’s Supplemental Benefits Forum hosted by the organization in Orlando, Florida. The industry’s premier educational and networking event, the Supplemental Benefits Forum attracted insurance professionals from across the country for sales and other industry-focused training, legislative and regulatory updates, and a range of valuable business sessions. 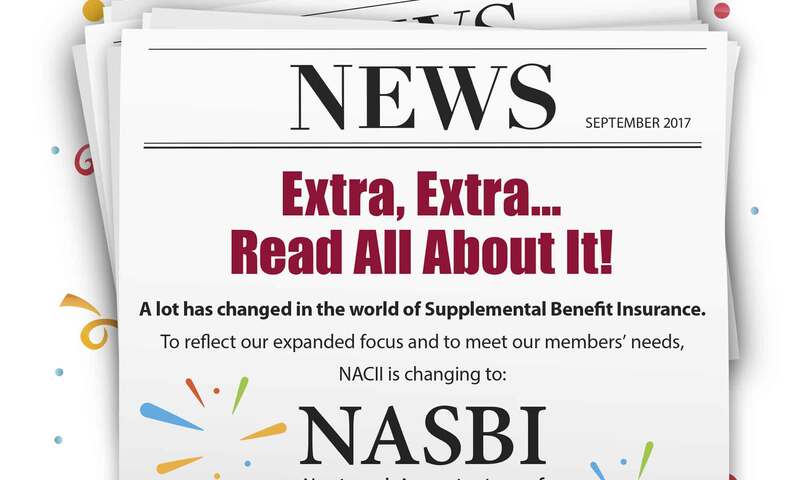 NASBI will roll out its new identity and brand position in the coming weeks, with additional outreach to professionals in accident insurance, hospital indemnity, and other supplemental benefits beyond critical illness insurance. Next PostNext A complete success for the 2017 Supplemental Benefits Forum!